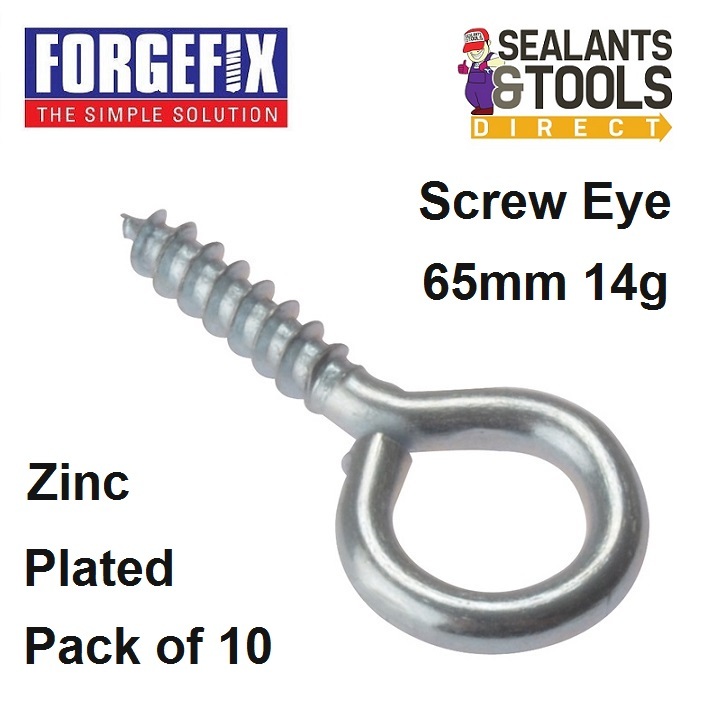 Forgefix 65mm Screw Eyes are Zinc Plated for increased resistance to corrosion. Simply screw them directly into timber and similar materials. Drilling a small pilot hole is advisable. Also suitable for use with all types of wall plugs. Screw Eyes are used to attach cables, wires and twine. If your application needs a pilot hole drilled use a 5mm Drill bit.